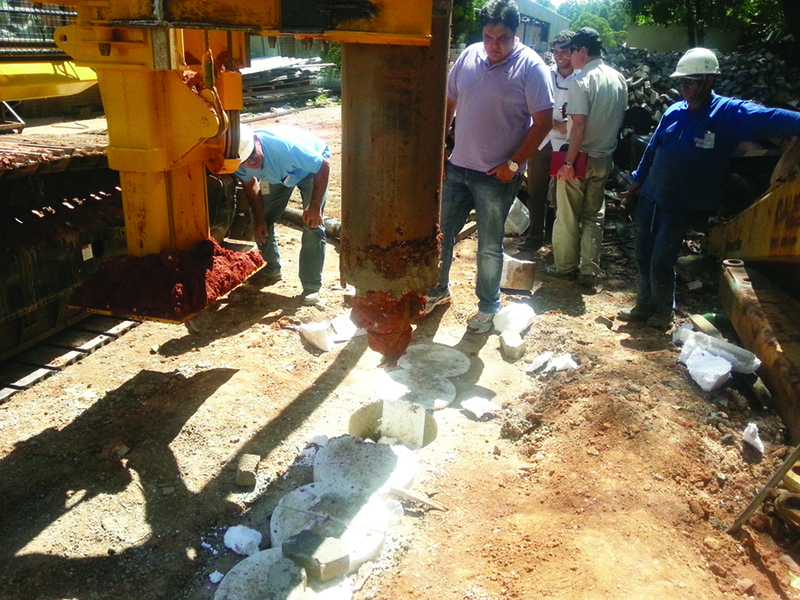 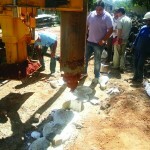 In primary drilling a first row of continuous flight auger piles are made. 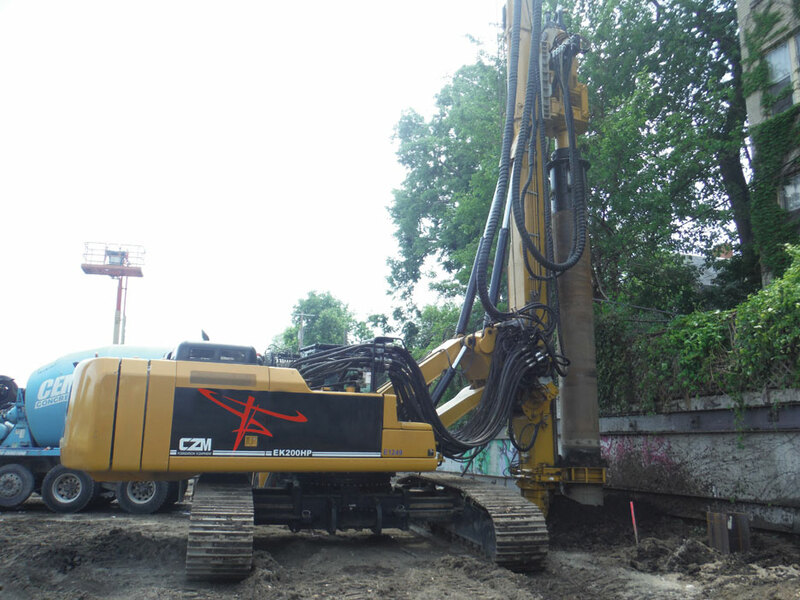 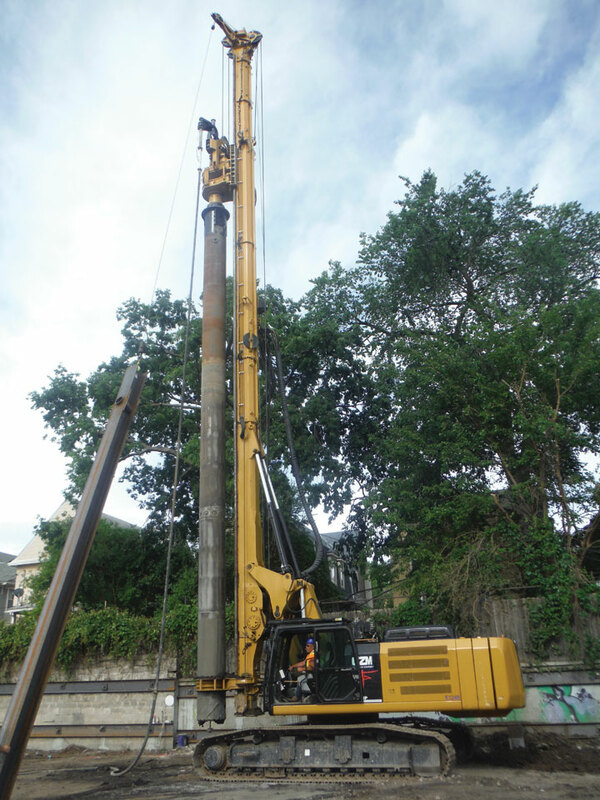 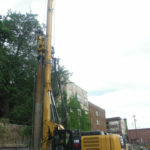 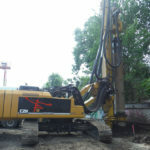 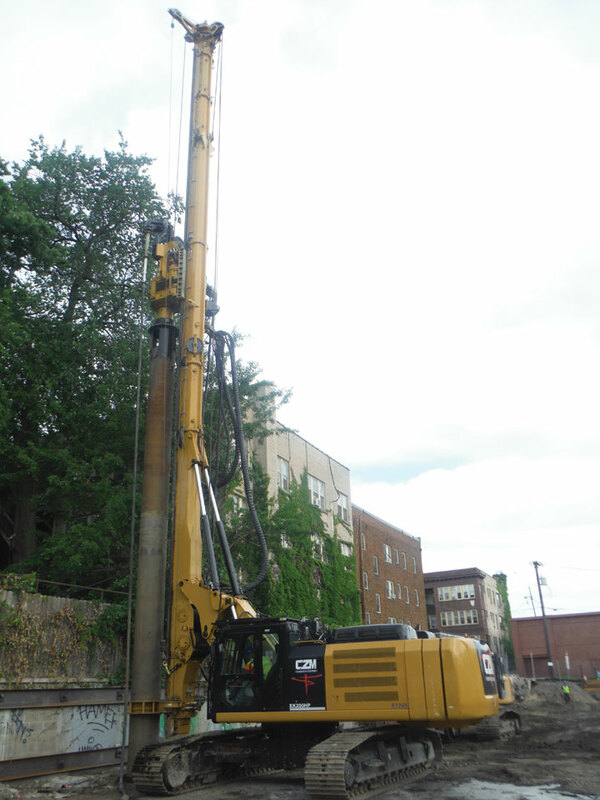 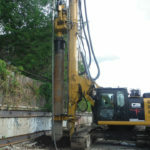 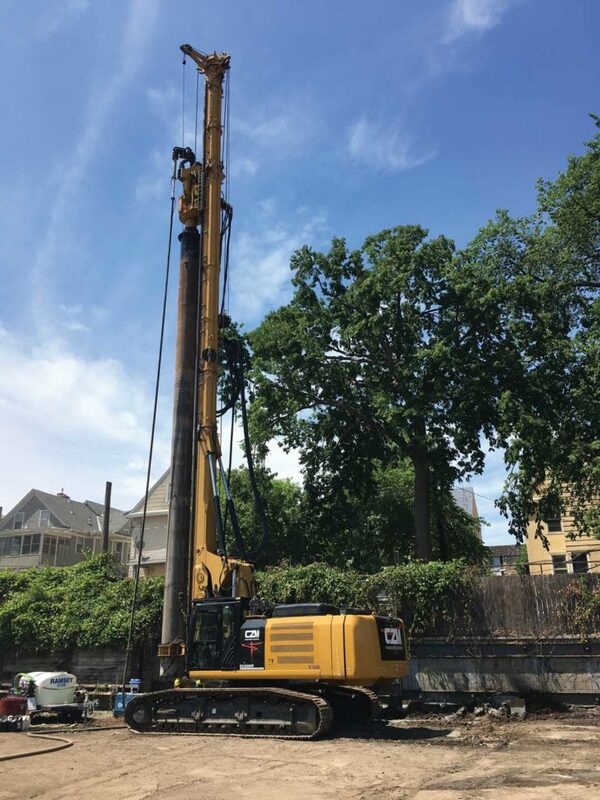 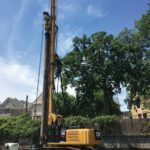 In secondary drilling a second row is made between the primary row with the casing shoe cutting 1-1/2 inches into each of the primary piles, secant to them. 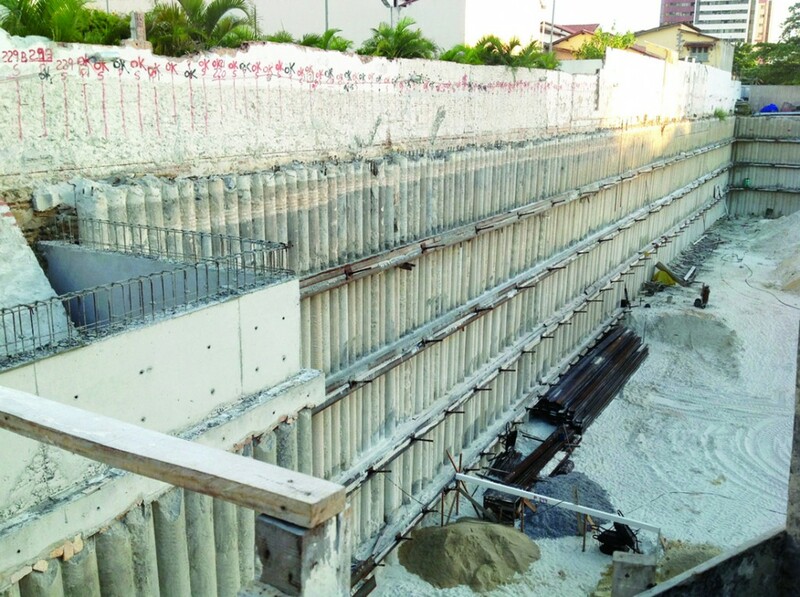 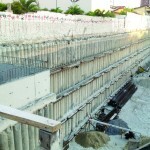 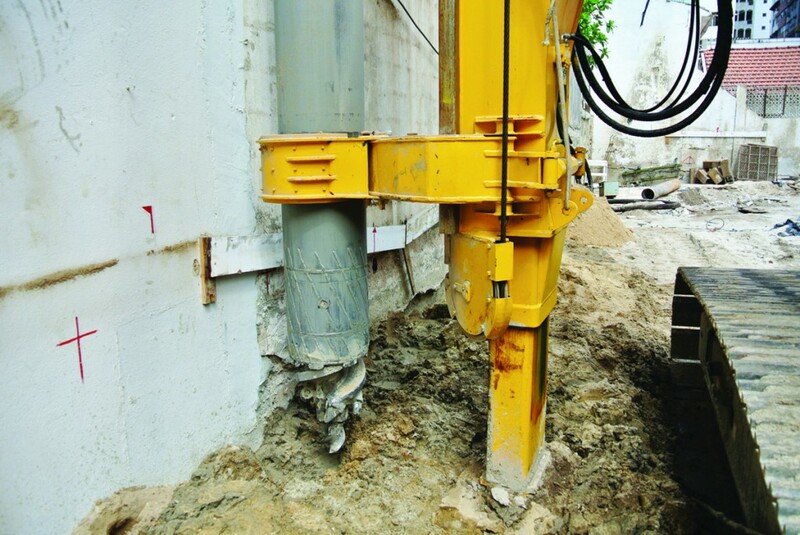 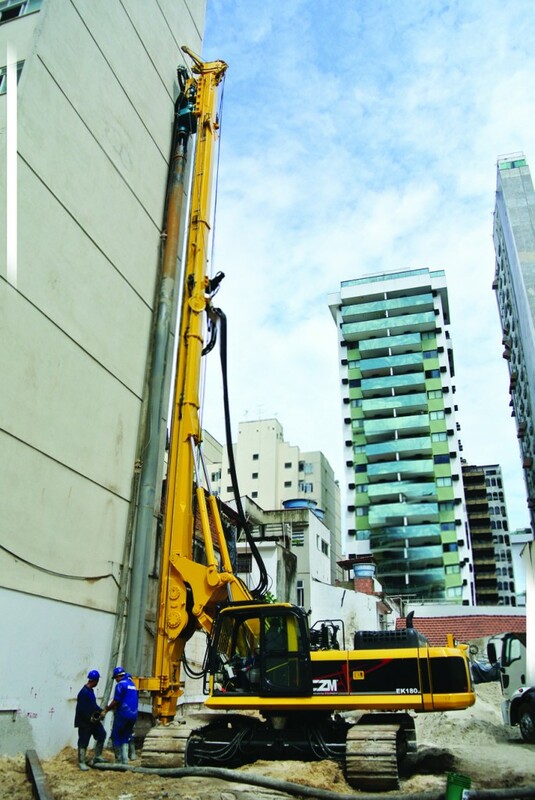 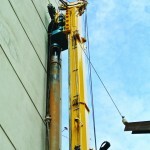 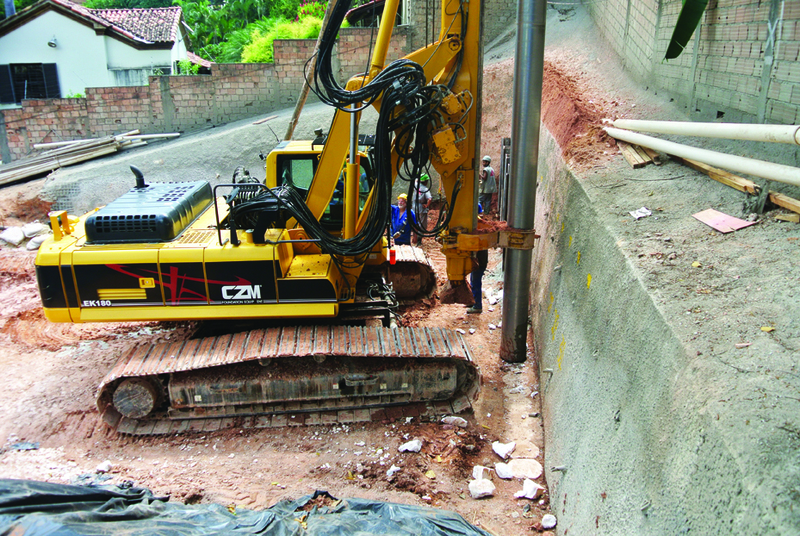 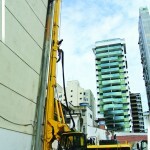 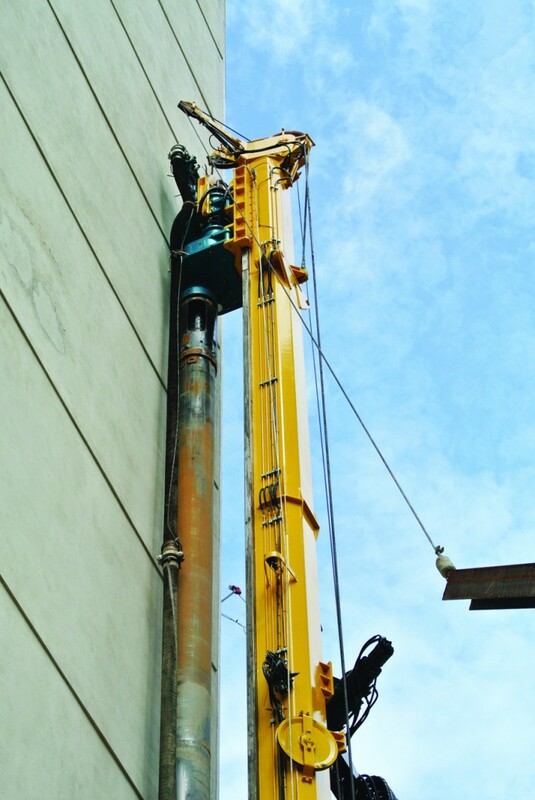 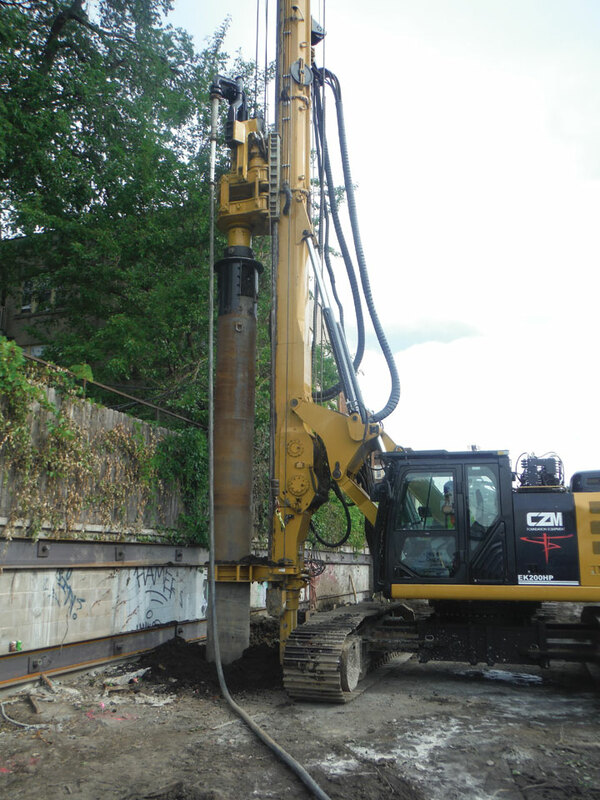 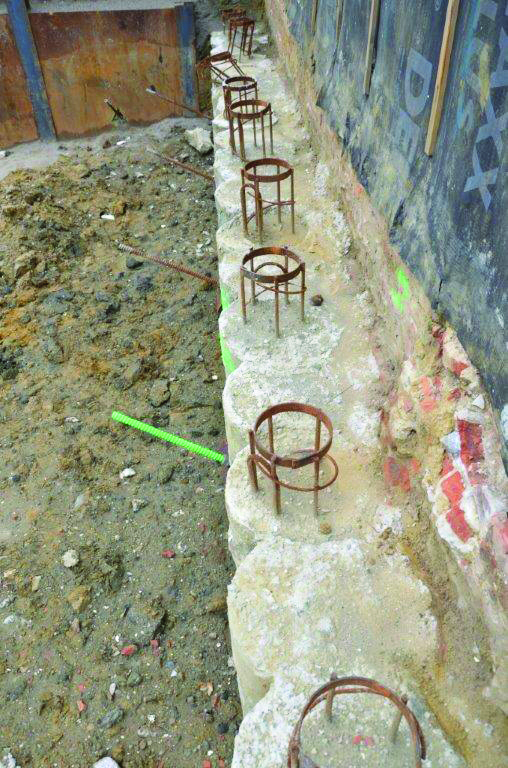 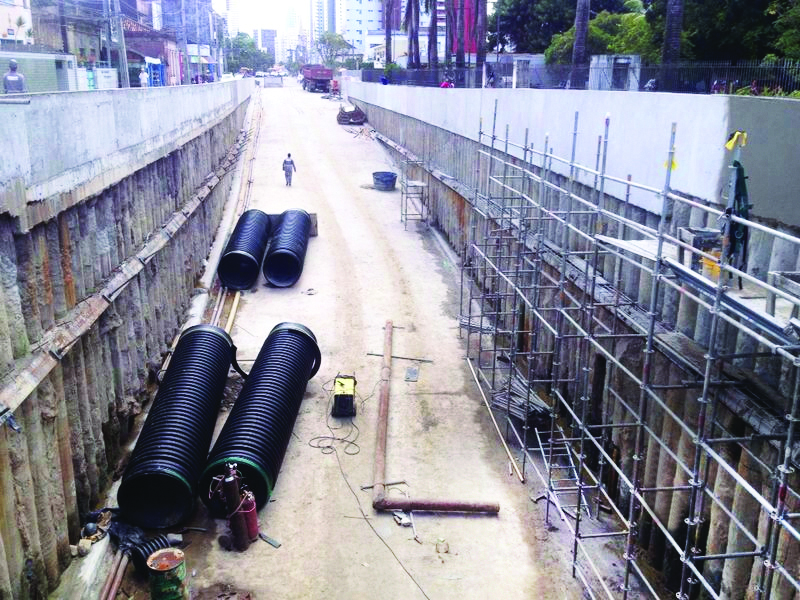 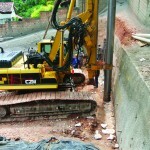 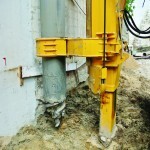 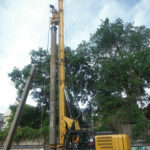 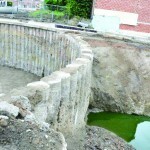 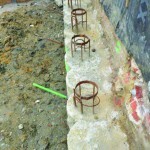 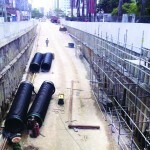 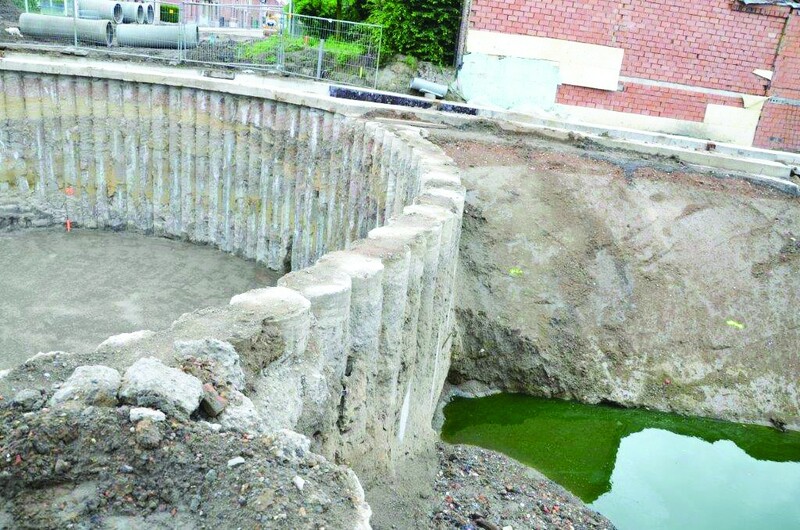 Following, H-beams or cages are introduced in secondary piles.